DEAR JERRY: I am addicted to AMC's “Breaking Bad,” and not just because it's set and filmed in this area. 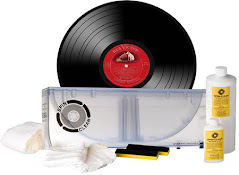 In Season 3's cliffhanger, “Full Measure,” Gale is in his apartment with a 78 rpm on his turntable, and singing along as it plays. It only lasts about a minute, but I heard enough to know I must have this recording. Unfortunately, it is entirely in another language, perhaps Spanish. I didn't understand a single word. Plus, portions of it are sung so fast it bears a resemblance to the Chipmunks. I checked the ending credits but no mention is made of this or any music used. How can I obtain this very unusual piece? Recorded and issued in Italy in 1945, this was a very popular single (Cetra AA-421) by a foursome named after the record label: Quartetto Cetra (translation: Cithara Quartet). They are the most famous Italian group ever. Yes, “Crapa Pelada” sounds Spanish, but those words, individually or together, do not translate in any of the world's primary languages, including Spanish and Italian. What makes more sense is the subtitle, “Testa Pelata,” which, in official Italian, means Bald Head. I learned from my trusty Italian correspondents, Carlo Stevan and Jean-Marc Gargiulo, that “Crapa Pelada” also translates as Bald Head, specifically with the Milanese (Milan) population, where many still use the unauthorized and unofficial Western Lombard dialect. Besides the title, some of the lyrics are in the Lombard dialect. Other verses are in official Italian. No matter how you say it, what we have here is a novelty number about a man losing his hair, and planning a mischievous use for his fallen follicles. “Crapa Pelada (Testa Pelata)” is one of over a thousand songs in the group's repertoire, and is available on “I Successi del Quartetto Cetra,” and several other easily available CDs. David Costabile, who plays Gale in “Breaking Bad,” can also sing, and his performance in that scene is live (not lip-sync). Since David does not speak Italian, how he keeps pace with such rapid-fire lyrics is amazing. DEAR JERRY: Again this year, I noticed how quickly after December 25th the media quits playing just about everything relating to the Holidays. By January 2nd, they are all put away for about 11 months. I seem to recall, as a child, hearing Christmas hits played well into January, and sometimes beyond. Is that an accurate recollection? Which Christmas record remained on the Hit Parade the farthest into the next year? —Margie Donaldson, North Hollywood, Calif.
MY LITTLE MARGIE: If you remember Christmas hits in January, you probably recall Gale Storm as Margie. Over the years, numerous Christmas-related hits sold well in early January, and remained on the national charts for a few weeks of the new year. However, “The Chipmunk Song” wins the Not Fade Away award, standing alone as the only Christmas-themed hit to linger on everyone's Hit Parade until the 1st of March! If this were February 1959, you'd still be hearing those singing Sciuridae for the rest of this month. “The Chipmunk Song,” by the Chipmunks (Alvin-Theodore-Simon) with the Music of David Seville (Liberty 55168), spent 13 weeks in the Top 100 of both Billboard and Cash Box, including four weeks at No. 1. Having two of those weeks in December 1958, and two in January '59, makes David Seville's novelty brainchild the only Christmas song in nearly 60 years to span two consecutive years. Finally, not since “The Chipmunk Song” has another Christmas song even reached Billboard's Top 10. Gold: “Chipmunk Punk” (1980); “Urban Chipmunk” (1981) “A Chipmunk Christmas” (1982); and “Alvin and the Chipmunks - The Squeakquel” (2009). Platinum: “Christmas with the Chipmunks” (1962); “Chipmunks in Low Places” (1992); and “Alvin and the Chipmunks - Original Motion Picture Soundtrack” (2007). The record industry is still trying to find its feet in the digital age, and with a plethora of labels popping up, claiming new business models and fresh trajectories, it often feels like the future of music has to be something radically different to succeed. However, the majority of people fear change - that is until the flow of progress effortlessly takes them there, or alternatively, the path laid out seems glaringly familiar. Third Man’s bond with the past is undeniable. 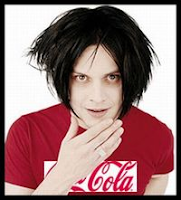 With its focus on vinyl output, shirking of streaming services, and earthy embracement of analog recording techniques, one could mistake the label as a side hobby for Jack White’s musings. But it is this nod to the past that makes White’s label a blueprint for future independent labels, and a lesson to the majors on how to become efficient in the new era. An original Blue Note LP tops the list this week, with the rest of the entries covering just about every holy grail collecting genre, with Psych, Northern Soul, early Punk and more Jazz making the list. 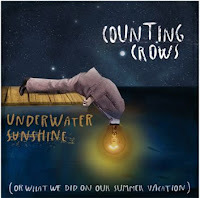 Counting Crows are set to release their first album of new material in more than four years on April 10, 2012 on Collective Sounds. 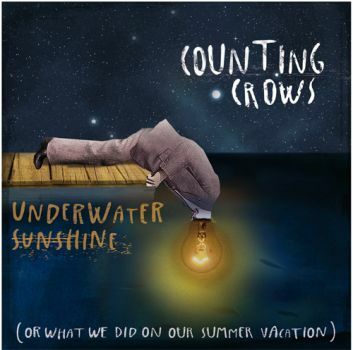 The effort is called 'Underwater Sunshine (or What We Did On Our Summer Vacation)' and is a collection of covers described as “a testament of a band geek-obsessed with music.” Produced by Counting Crows and Shawn Dealey, Underwater Sunshine features tracks written by artists such as Big Star, Bob Dylan, Gram Parsons, Tender Mercies, Kasey Anderson and The Faces. 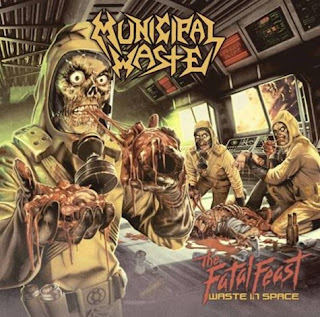 Virginia-based thrash metal band MUNICIPAL WASTE are set to release their fifth studio album, 'The Fatal Feast' on April 10 in North America and April 13 in Europe via Nuclear Blast Records. 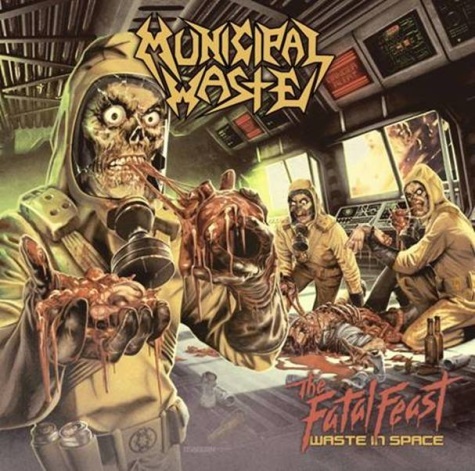 The cover artwork for the effort was created by Justin Osbourn of Slasher Design. 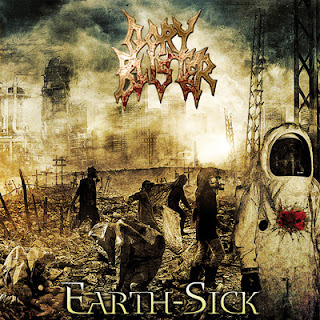 Italian technical death metallers GORY BLISTER will release their long-awaited new album, "Earth-Sick", on April 23 via Bakerteam Records. The follow-up to 2009's "Graveyard Of Angels" contains ten brand-new technical and brutal death metal tracks in the signature style that has always identified the band over the past 20 years. "An intricate, marvelous and symbolic creation by Seth Siro Anton, the Greek artist who collaborated with the band on Night Eternal. 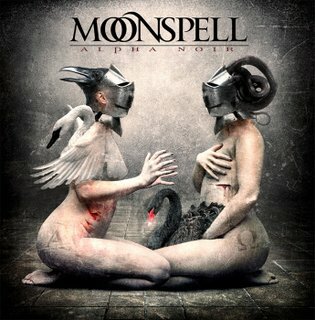 This may be his finest and darkest piece to the date, invoking all the atmosphere that Moonspell dual album, Alpha Noir/Omega White, will unleashed on April 27th via Napalm Records. Leave your comment or shout your support to the band on our Facebook and Myspace pages." 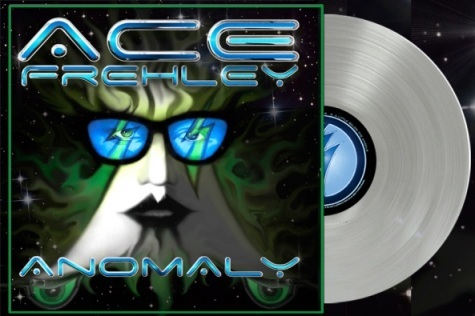 Brookvale Records, in partnership with Rocket Science, are scheduled to release the Ace Frehley's 'Anomaly' album on vinyl. The effort is due on April 10, it will be a double LP set in special gatefold packaging with the vinyl silver in color. Only 1,000 copies hand-numbered copies will be made. A museum dedicated to the life, legends and music of Johnny Cash is being planned in Nashville, Tennessee. The establishment is set to open later this year, according to the Associated Press. The man behind the museum is Bill Miller, who collect’s Cash memorabilia and operates a Cash website. The museum is planned to open in the Lower Broadway, tourist-friendly section of Nashville, “right in the middle of the hubbub,” according to John Carter Cash, Johnny’s son. 16. Guided By Voices - Doughnut For A Snowman 7"
17. Mark Lanegan - Gravedigger's Song 7"
18. 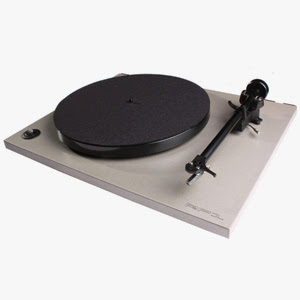 Magnetic Fields - Andrew In Drag 7"
19. Thrice - At Guitar Center 7"
In 1956, Buddy Holly signed a recording contract with Decca Records. He left the "e" out of his last name (Holley) and dropped it from his stage name as well. In 1958, the Diamonds had the best selling record in the United States with their version of "The Stroll." The song also reached number four on the Billboard Pop chart and number five on the R&B chart. In 1960, the House of Representatives Special Subcommittee on Legislative Oversight opened hearings on disc jockey "payola." In 1960, Bobby Rydell's "Wild One" makes its debut on the Billboard chart, where it will reach number 2. It also made the Top 10 in the UK. Also in 1960, "Teen Angel" by Mark Dinning hit number 1 in the US. The song had been written for him by his sister Jean, who also recorded as one of The Dinning Sisters. Some radio stations banned the song and in the UK, where it barely made the top 40, it was called "the death record". In 1963, the Four Tops are inked to Berry Gordy's Motown label and receive a $400 signing bonus. In 1964, the publisher of the song "Louie Louie" offered $1,000 to anyone would could find suggestive lyrics in the song. Also in 1964, the Beatles (except George Harrison, who had a sore throat), went for a photo-opportunity walk around Central Park during their first full day in New York City. Added police were called in to keep fans at a distance. Later in the day they rehearsed for their first US TV performance on "The Ed Sullivan Show." 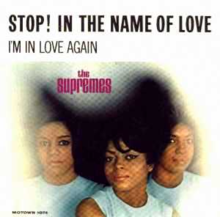 In 1965…The Supremes released "Stop in the Name Of Love." The Supremes' choreography for this song, with one hand on the hip and the other outstretched in a "stop" gesture, was almost as memorable as the song. The routine was taught to the girls by Paul Williams and Melvin Franklin of the Temptations backstage in London, before the Supremes' first televised performance of the single on the "Ready Steady Go!" special "The Sound of Motown," hosted by Motown enthusiast Dusty Springfield. The song was included on the Supremes' sixth album, More Hits by The Supremes, and was nominated for the 1966 Grammy Award for Best Contemporary Rock & Roll Group Vocal Performance, losing to "Flowers on the Wall" by the Statler Brothers. The song was also honored by inclusion in the Rock and Roll Hall of Fame's permanent collection of the 500 Songs that Shaped Rock and Roll. They performed the song on an episode of the ABC variety program Shindig! which aired on Wednesday, February 25, 1965. In 1965, the Dave Clark Five begin filming the movie 'Catch Us If You Can. Although they perform the soundtrack music, the members of the group (unlike The Beatles) do not play themselves, but appear as a team of freelance movie stuntmen and extras, led of course, by Dave Clark. In 1967, English duo Peter and Gordon announce their split up. Between 1964 and 1967, they placed ten songs on the Billboard Top 40. After working for Apple, Peter Asher moved to Los Angeles and produced records for Diana Ross, Linda Ronstadt and Cher. He was won Rolling Stone magazine's "Producer of the Year" awards twice. Gordon Waller would turn to acting and played the part of Pharaoh in the musical Joseph and His Amazing Technicolor Dreamcoat. The duo reunited on stage in August, 2005. Also in 1967, at EMI's Abbey Road Studios in London, the Beatles began recording the John Lennon composition "Good Morning, Good Morning" for the "Sgt. Pepper's Lonely Hearts Club Band" album. Bass and vocal were added on February 16, the Sounds Incorporated brass section was overdubbed on March 13, the backing vocals and Paul McCartney's guitar solo were done on March 28, and animal noises were added a day later. Lennon asked engineer Geoff Emerick to arrange the animal noises heard at the beginning and ending of the track so that each animal heard was one capable of devouring, or at least frightening, the animal preceding it. 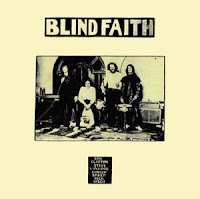 In 1969, Cream's Eric Clapton and Ginger Baker announced the formation of Blind Faith with Traffic's Steve Winwood and Rick Grech of Family. 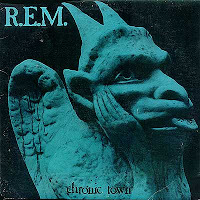 One of the first "supergroups," they came up with one album and an ill-fated tour before collapsing after six months under the weight of intense media and public scrutiny. In 1971, Frank Zappa's concert at London's Royal Albert Hall is cancelled after a representative of the venue found obscene lyrics in the score of "200 Motels". In 1975, Zappa lost a lawsuit against the Hall for breach of contract. In 1973, Max Yasgur died of a heart attack at age 53. He was the owner of the dairy farm in Bethel, New York, at which the Woodstock Music and Art Fair was held August 15-18, 1969. 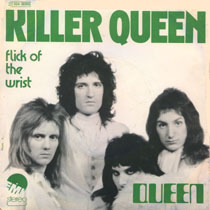 In 1975, Queen's single "Killer Queen" was released. It was their first hit single. 'Killer Queen' was the turning point. It was the song that best summed up our kind of music, and a big hit, and we desperately needed it as a mark of something successful happening for us... I was always very happy with this song. The whole record was made in a very craftsman-like manner. I still enjoy listening to it because there's a lot to listen to, but it never gets cluttered. There's always space for all the little ideas to come through. And of course I like the solo, with that three-part section, where each part has its own voice. What can I say? It's vintage Queen. The first time I heard Freddie playing that song, I was lying in my room in Rockfield [a residential recording studio in Wales], feeling very sick. After Queen's first American tour I had hepatitis, and then I had very bad stomach problems and I had to be operated on. So I remember just lying there, hearing Freddie play this really great song and feeling sad, because I thought, 'I can't even get out of bed to participate in this. Maybe the group will have to go on without me.' No one could figure out what was wrong with me. But then I did go into the hospital and I got fixed up, thank God. And when I came out again, we were able to finish off 'Killer Queen.' They left some space for me and I did the solo. I had strong feelings about one of the harmony bits in the chorus, so we had another go at that too. In the New Musical Express November 2, 1974, the song's writer Freddie Mercury had this to say about the song: "It's about a high class call girl. I'm trying to say that classy people can be whores as well. That's what the song is about, though I'd prefer people to put their interpretation upon it - to read into it what they like." In 1981, at Bombay Studios in Smyrna, Georgia, R.E.M. recorded "Sitting Still," "Gardening At Night," "Radio Free Europe," "Shaking Through," "Mystery To Me," "(Don't Go Back To) Rockville," "White Tornado" and "Narrator" at their first formal recording session. In 1988, the Who (minus the late Keith Moon) reunite for their 25th anniversary at the televised British Phonographic Industry Awards in London. Their three song medley of "My Generation / Substitute / Who Are You" runs past their time slot, forcing Rick Astley to accept his award for Best British Single, off the air. 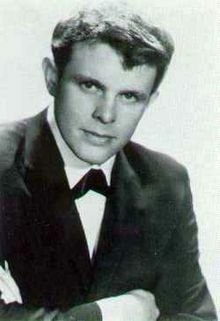 In 1990, 50 year old Del Shannon died of a self-inflicted gun shot wound at his home in Santa Clarita, California . He had just appeared at the annual Buddy Holly memorial concert in Fargo, North Dakota and had recently completed recording a new album with the help of Tom Petty and Jeff Lynne called "Rock On!" Shannon was rumored to take Roy Orbison's place in The Traveling Wilburys at the time of his death. He would be inducted into the Rock and Roll Hall Of Fame in 1999. In 2002, Bob Wooler died at age 76. He was the resident DJ and booker at The Cavern Club in Liverpool during the early 1960s. Wooler introduced the Beatles to their manager, Brian Epstein. In 2005, Keith Knudsen, long-time Doobie Brothers drummer, died of pneumonia. The 56 year old had been battling cancer and had been in the hospital for more than a month. Knudsen was part of the band during their prime hit making years and recorded "Black Water", "Taking it to the Streets", "China Grove" and "Listen to the Music". Also in 2005, Burton Cummings and Randy Bachman, core members of The Guess Who, were inducted into the Canadian Songwriters Hall Of Fame. The band placed 13 songs in the Top 40 of the Billboard Hot 100 between 1965 and 1974. Cummings added 2 more as a solo artist and Bachman contributed 7 others with Bachman-Turner Overdrive. In 2006, Kelly Clarkson won two Grammys. The awards were for Best Female Pop Vocal Performance for "Since U Been Gone" and Best Pop Vocal Album for "Breakaway". She was the first "American Idol" participant to win a grammy. She also performed "Because of You" at the show. Also in 2006, Sly Stone made his first major public appearance since his 1993 induction into the Rock and Roll Hall of Fame when he appeared at the Grammy Awards in Los Angeles. The 61 year old Sly joined in briefly during a multi-artist tribute to his music. In 2011, Nielsen SoundScan reported that since Steven Tyler started appearing on American Idol on January 19th, sales of Aerosmith's Greatest Hits collections have shot up more than 250%.